Wow that's fast! You guys are the best! Any idea when rest of England and German kits will be done? Its great what you all do but defiantly think next year an order needs to be in place. Slovenia - 2.SNL (second league) SS'2016/17 by Wiery New! France - Ligue One SS'2016/17 by Yoz Relink! Belgium - First Amateur SS'2016/17 by shooto New! Argentina - Primera Division SS'2016/17 by shooto Relink! Can you telle me when the ss kits for 1.Bundesliga, English League 1 and 2 will be done? Where are the Maltese leagues? Albania - Kategoria Superiore SS'2016/17 by shooto Relink! Ukraine - Second League SS'2016/17 by Jay_Jay_Max New! Bulgaria - 1st Division SS'2016/17 by karamel Relink! Austria - Bundesliga SS'2016/17 by schweigi Relink! 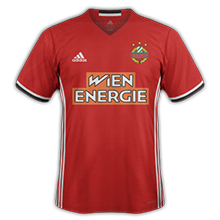 Austria - Regionalliga Ost SS'2016/17 by schweigi Relink! Greece - National Division C SS'2016/17 by Merk13 Relink! England - Vanarama Conference North SS'2016/17 by bolid74 (Sortitoutsi) New! England - Vanarama Conference South SS'2016/17 by bolid74 (Sortitoutsi) New! Romania - Liga I SS'2016/17 by Raulic New! Spain - La Liga sS'2016/17 by Whydack New! Great work on all kits mate and only noticed cause of 3D pack. Checked around first before I mentioned it. How do you proceed to see the third kit in the game for Toulouse and Rennes for example? Because in the game they don't have third kit. ok I've checked, effectly rennes have used in friendly match this summer the third kit of last year, and officialized new third kit later. 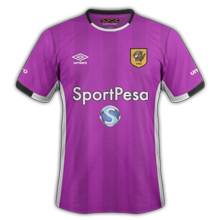 Toulose this year haven't yet released third kits, and I' don't know if the will have..
akasha I' don't have fm17 in fm16 they have a third kit.. I just looked on fm17 and Toulouse don't have a third kit mate neither do Rennes. Any chance you could make the black one please to go with 3D pack. Thanks for taking the time to get back, I wasn't trying to find faults. Really appreciate all kit makers work. Sorry for the late reaction but i've notice that the third kits of West Ham is missing.